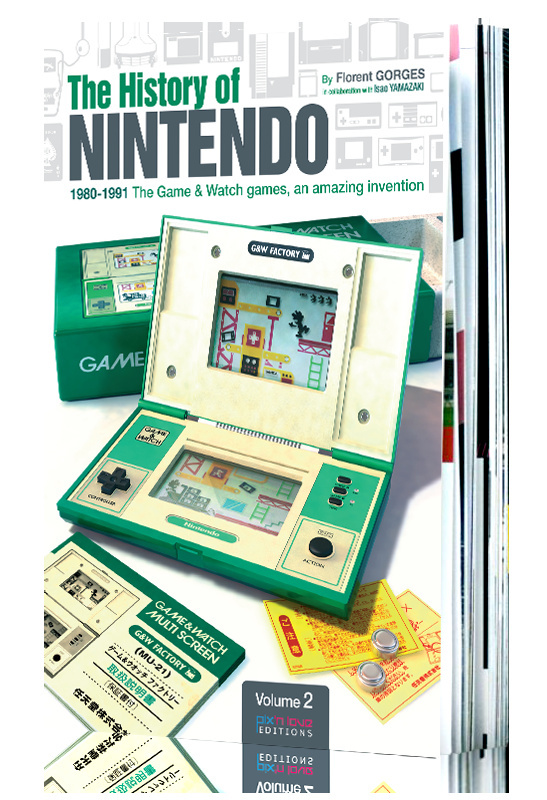 The second instalment in Pix'n Love Publishing's History of Nintendo book series is out today. The 200-page tome looks at the history of the Game & Watch, with reviews of every unit, over 1,500 pictures and exclusive documents too. 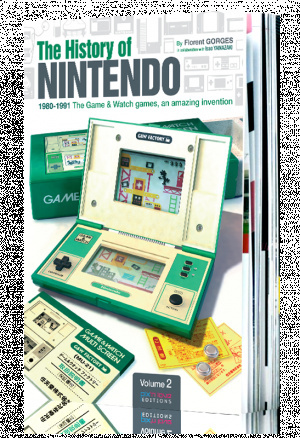 If you've ever wanted to know more about Nintendo's 1980s portable games, this book should scratch that itch nicely. It's available to buy from Pix'n Love Publishing now. Pix ‘n Love Publishing is very proud to announce that the highly anticipated second volume of our critically acclaimed “ History of Nintendo “ series of Books, is finally Released today. We have now taken delivery of the book, and all pre orders that were placed on our web site are shipping today. Don't buy this, people. I bought and paid for Volume 1 back in November and even though it "shipped" months ago, IT'S STILL NOT HERE. Do NOT fall for this scam. I never read the first one, but this looks interesting. @Hyperstar96, did you let them know you don't have it? Maybe it got lost along the way. I bought the first Volume from their site and had to chase it up with them as the parcel took a long time to be delivered (although I think Royal Mail was partly to blame). Their customer service was a bit rubbish but after a bit of pressing on Facebook and email I got a reply from a very apologetic person, so hopefully they will have fixed that by now. The first book is interesting, but more on a curio level than anything else. I will be getting this but the one that really interests me is the Gunpei Yokoi one they are supposedly working on at the moment. Hyperstar96 - I run the English site customer services. Do you want to e mail me directly at themachines@live.co.uk ? and give me your order information. I will look into your issue right away. Without knowing your name or order info I can only speculate, but there obviously must have been an issue with this delivery. I do reply to all site e mails several times per day, so if you did inform Pix n Love of an issue it would have been me who replied. Very happy to help you, and also happy to call you if you send me your phone number. I want these books. But jeez they're $40 in US money. It's offset by the fact they give you free shipping so it's not a bad tradeoff. Hopefully they'll be in a Library near me some day >.> I don't think I'll be paying $40 for it. Cool book though! I'm not buying this new book as it contains less pages/content than the first book, yet costs almost 40% more. That's not on. Costs should be the same or lower in this case. I think they're being greedy. The book doesn't cost almost 40% more, it costs exactly the same as Vol. 1: £24.99. It is indeed a bit pricey for the quality of print and binding you get but there is nothing like this published out there. The level of research, at least in the first book, is very impressive. I'm a big fan of videogame books so I can't wait to get my hands on this. Of course I am penny-less (much less dollarfull... get it? ) so it'll be some time before I can get my hands on one. But I'd definitely love to give it a read. I remember back in the day, I used to go to my local library to do nothing but peruse their videogame-related books section. Although it was usually slim, that's where I read awesome titles like Masters of Doom and Opening the Xbox. I wrote a long article recently on the History of Portable Systems at my website, give it a read if you're so inclined. I did lots of research for it and was fascinated by the Game & Watch stuff. You can find the site on my profile. @Hyperstar96: This is NOT a scam it's disgraceful you have called it such. I bought and received volume one last year and received a hand-written note of thanks for buying the book. This is not a scam and a lot of hard work has gone into it by people who care. Maybe if you actually made an effort to trace where the item is by contacting Pix 'n Love Publishing and getting postage details you might get your item. It's the postal system you should be angry with, not these guys. @Hejiru And they never arrive. Forget it! I got the first book.. took about 4 weeks to arrive. But that was expected since after all it's coming from Europe. That being said, I'd like this new book but without free shipping it comes out to over $51.. Sorry but I have to balk at that price.